There's something about December... the run up to Christmas with a little bit of magic in the air; time for glitter and tinsel, chocolate for breakfast, fleeces, woolly socks and flasks of hot tea. It is probably one of my favourite months to get out hiking, especially as it gets colder and colder - as the morning frost settles and when there's a sprinkling of snow on the hills. Some of my favourite hikes are often deserted at this time of year - which on one hand is an awful shame for all those missing out on one of the best months to be outside, but on the other it's an absolute blessing to get the hills to myself! 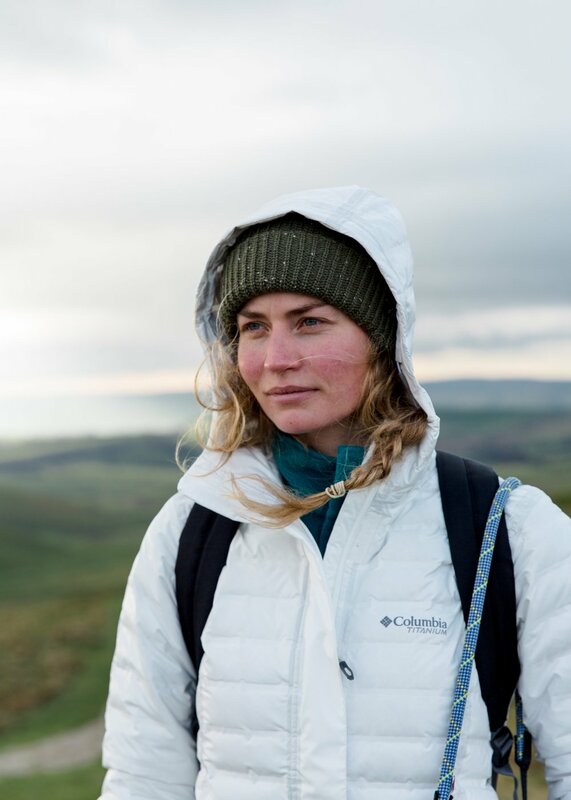 This month I was lucky enough to head to the Peak District, London, Somerset, Devon and Scotland, lacing up my boots and pulling on a woolly hat to ramble in the hills. This is the first in a new monthly series in which I'll be telling you about some of my favourite pieces of gear I've been wearing and using this month. Let me know what you think in the comments below and if you'd like more gear-related blog posts! If you follow me on Instagram, you'll almost certainly have seen these boots appear numerous times on my feed. Safe to say I'm a little bit obsessed with them... The obsession began after watching Wild, the film based on the book by Cheryl Strayed about a woman who hikes the Pacific Crest Trail. That film impacted me in a few ways - firstly, it made me want to hike the PCT one day, and secondly, it turned these Danner's into my dream boots. That dream came true when I got my very own pair a few months ago, and am rarely found without them on my feet. The Danner's are a classic style, leather with metal lace-clips and those distinct red laces. 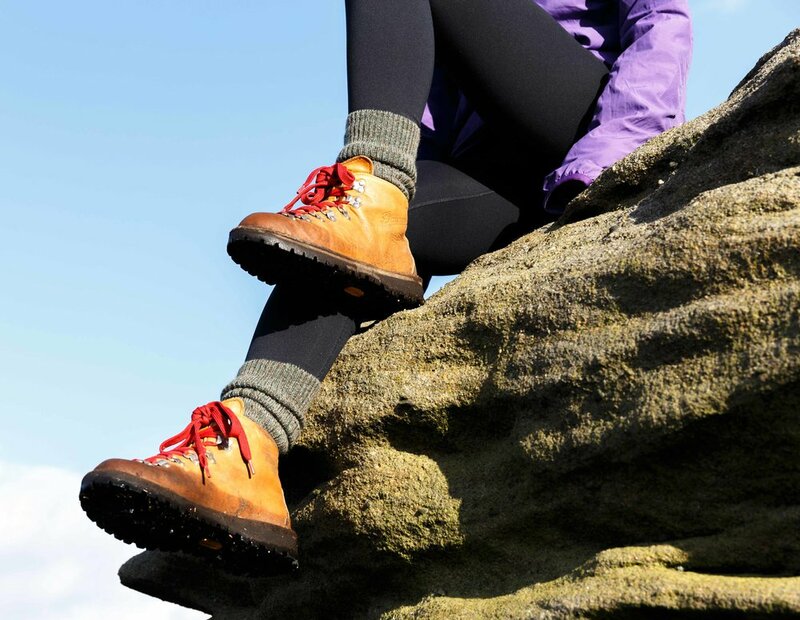 Yet aside from the fact that, in my opinion, they look GREAT on your feet, they are also incredibly comfortable, durable and functional for heading out on a hill-walk. Though there are certain hikes that I'd rather not use the boots for - primarily those involving scrambles, deep-bogs or if it's going to torrentially rain for hours on end (because the leather gets heavy when wet) - for a ramble in the hills, the Danner Mountain Lights are my go-to hiking boots for December. See my full review for Outdoors Magic here. Another item I've been obsessed with this month is the Patagonia Snap T Fleece. This beauty comes in a whole range of colour combinations and some pretty jazzy patterns too, but the best thing is that as of October 2017, this popular range of fleeces is now made in Fair Trade Certified factories, meaning buying the fleece directly benefits the workers who make them. In fact, 38% of Patagonia's products are now now Fair Trade Certified and 26,000 words have benefitted from the program. As well as that, the fleece is lightweight, super cosy and makes a perfect mid-layer for cold, winter hikes. I've worn this fleece on almost every winter hike lately and absolutely adore it! I've been a big fan of Manchester-based hat, pack and sock brand, RMBLR, for some time but have become a little obsessed with their latest sock range. It was a tough decision, but I've gone for the Kinder Derby Tweed socks as my December choice as they are super comfortable and cosy, and I love the way they look paired with my Danner's. As well as being worn in the hills, I also wear these socks when lounging around at home as the Lincoln-Merino wool combination makes them extra warm and cosy. The great thing about wool is that you can wear it several times before having to wash it so it's a great material for the environment - I tend to just hang mine out to air after every wear and wash after 3 or 4 wears. Another item that I've been wearing pretty much non-stop is the RAB Kinder Smock, a unisex down pullover that pays homage to a retro style. The Smock is a perfect lifestyle-technical crossover, as it looks just as great being worn in the hills as it does wandering around a city. More importantly, it is so so warm and cosy, and is definitely my go-to coat on a really cold winter's day. I don't always take the coat out on a long hike in the hills, as it's bulky to pack down if I did want to take it off, but for shorter and more leisurely hikes the Kinder is perfect. I was a little skeptical about this raincoat when I first got it, mostly due to the plasticy appearance and bright white colour that I was sure wouldn't stay white for long. However, having put it to the test when hiking the West Highland Way back in October, I can safely say that this is the best waterproof coat that I have ever owned. Essentially, it is like wearing a dry-bag - there's not a chance that the water will seep through, and even after walking in the rain for 6+ hours one day my upper body was still completely dry. I even used the coat to protect my camera from the rain, knowing it was the most waterproof thing on me to keep it safe. However, the most important thing about OutDry is that it is made from 100% recycled fabric (21 plastic bottles! ), it is both dye and PFC free, and 51 litres of water were saved in ever jacket! There is now an insulated version of the coat also available, to keep you warm and dry in the hills. These are the five items that I've been wearing pretty much non-stop throughout December. Let me know if there's anything you think I should try out in January or if you'd like more gear-related posts in the future!